Clinic sponsorship is an opportunity to fund our work providing free and low-cost surgeries to cats in need. Income from surgeries for owned cats only covers 20% of our costs for the year. We rely on donor support to continue providing high-quality spay/neuter for all cats. 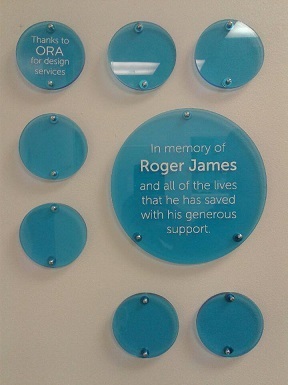 In return for your gift you can select a small (50 characters) or large (150 characters) plaque with your personal message to be part of our donor wall. Gifts of $1,000 receive additional in-clinic recognition. Please enter the message for your plaque here (50 characters or fewer for a small plaque or 150 characters or fewer for a large plaque).